Buddhism is the fourth-largest religion in the world and although the number of followers may not be growing as fast as other major religions the millions of people it attracts still have a significant influence in the world. 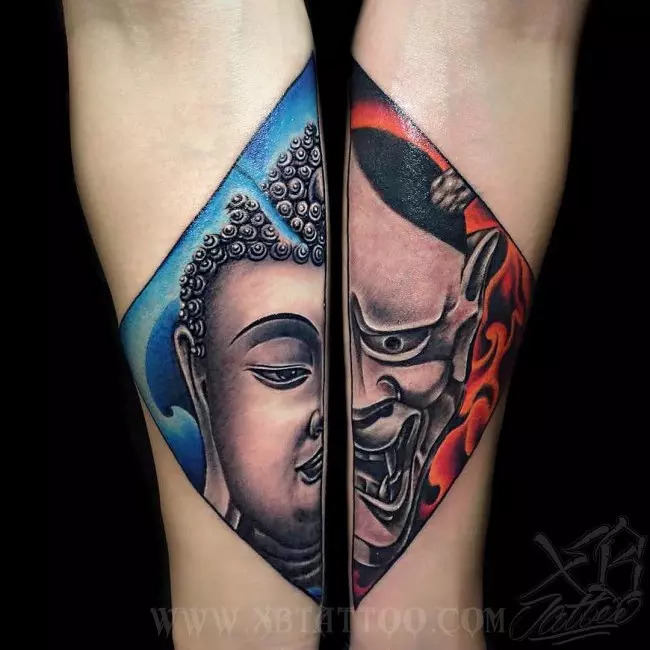 The Buddha tattoos can be directly linked to the origins of this religion and although Buddha himself discouraged any form of symbols in the religion they still came to be. The first Buddhist symbols according to archeological evidence are dated 250 BC and can be attributed to the Hindu King Ashoka, who lived in Sarnath, India. His devotion to Buddha is believed to have given birth to most of the symbols and images associated with Buddhism today. 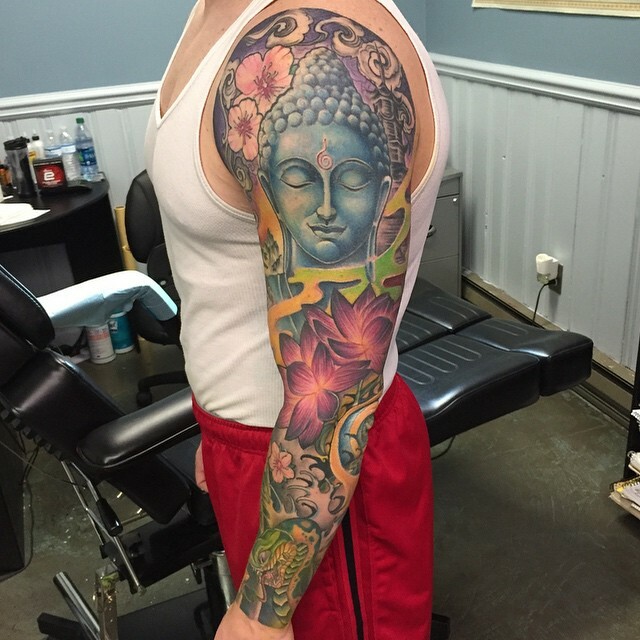 However, it was not until 100 BC that the popular image of Buddha that is depicted in tattoos came into existence. Although at first some of his followers were skeptic of this image it came to be accepted as the standard image of Buddha. 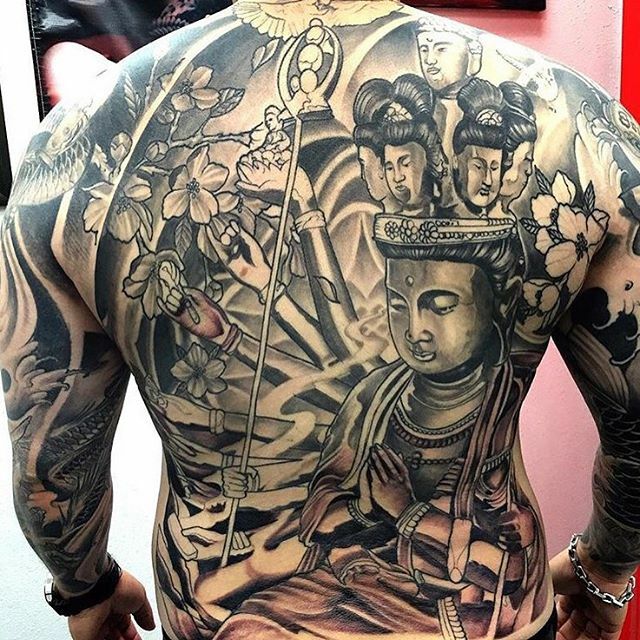 Although artists try to give it different variations, there is still that one unique look that every Buddha image tattoo should have. 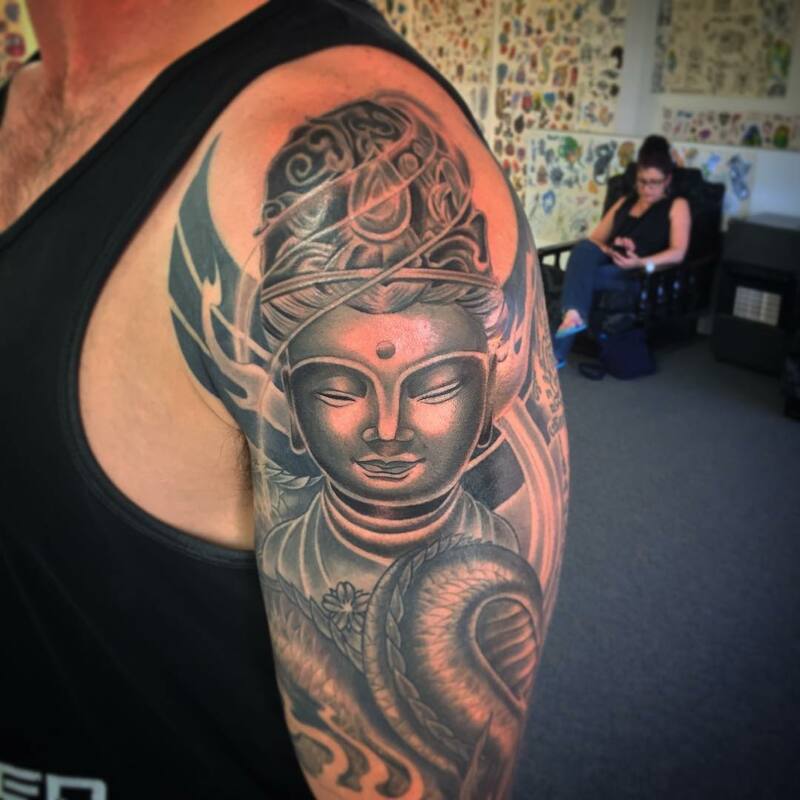 Whether you are a practicing Buddhist, or you are simply a strong believer in the philosophy that Buddha taught and stood for these tattoos can have some symbolic meaning to you. Although most people assume that these tattoos have a blanket meaning (that they are an indication that one is a Buddhist), this is not true. 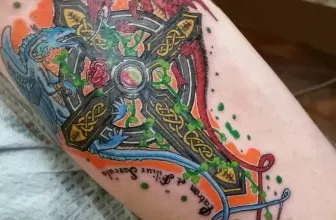 In fact, these tattoos can mean almost anything that you want them to and so before getting one you should be conversant with the various meanings. Each Buddhism tattoo holds its own meaning, for example, the Lotus flowers are often used to mean strength, rebirth, and enlightenment. Although the religion itself stands for all these things the Lotus flower is used to show the three particular things and so you do not have to be a Buddhist to have a lotus flower inked on you. However, before getting this flower, it is important to note that the meaning will depend on the color of the flower that you chose to get. 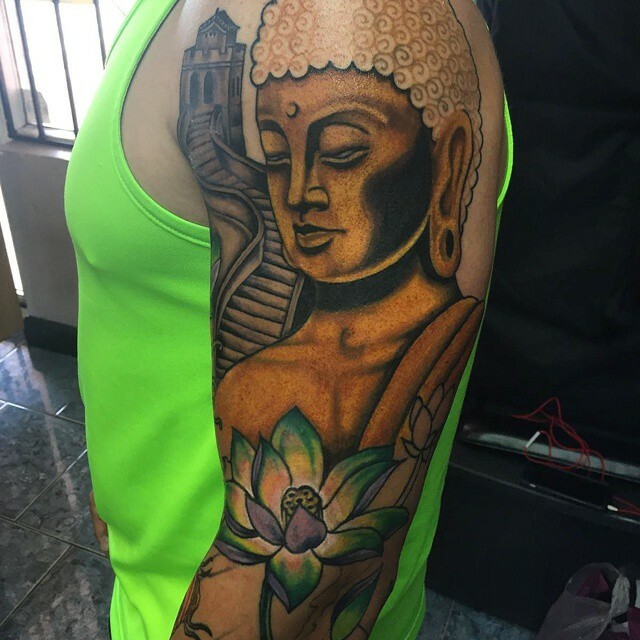 Other tattoos like the Golden Buddha can be used to mean that one believes in the teachings of Buddha or a sign of devotion to Buddha. Of all the Buddhist tattoos, the Golden Buddha is the one that is mostly associated with this religion. 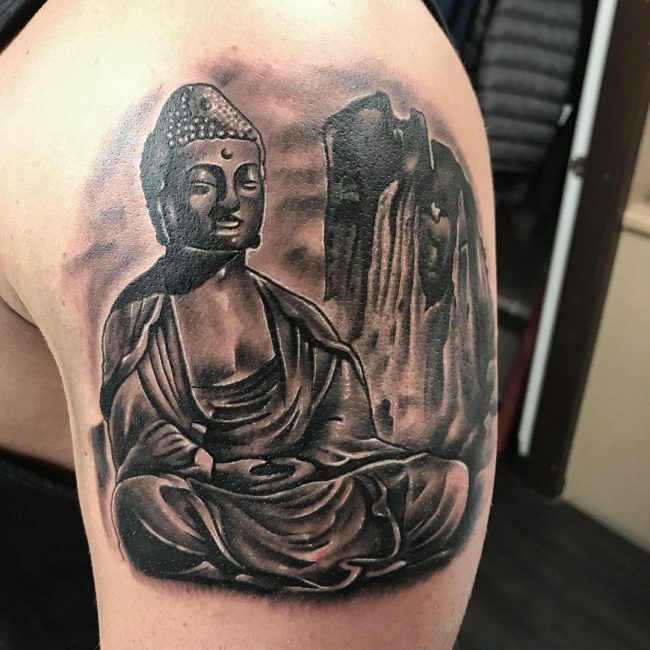 You do not have to be a Buddhist to show your devotion to Buddha using this tattoo since anyone who has read and understood his teachings is free to show that they believe in what he taught. Some people also choose to get these types of tattoos because they find them aesthetically appealing and to them the tattoo holds no symbolic meaning. 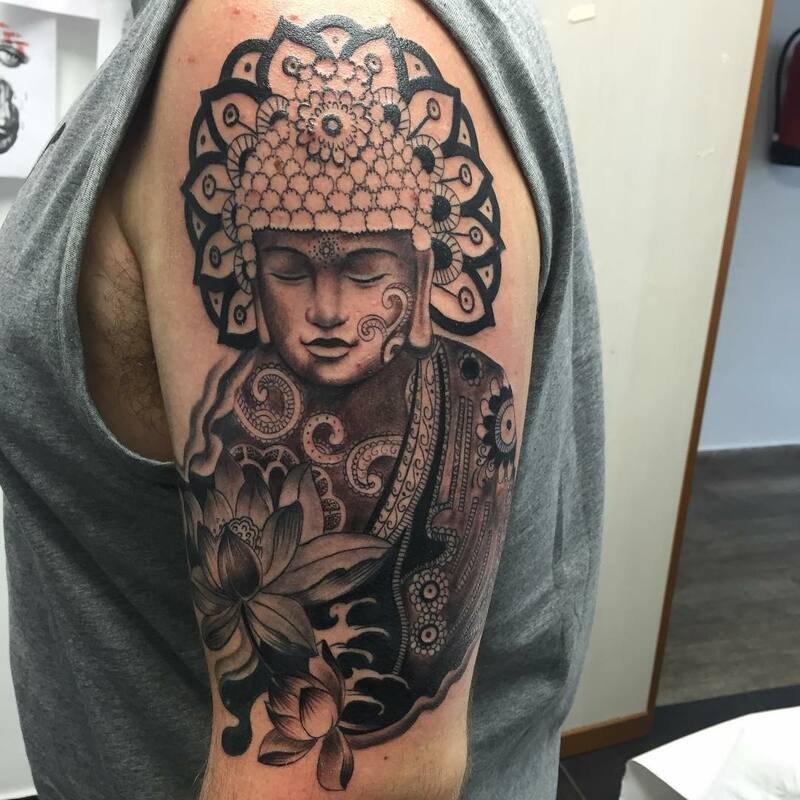 With the fascination that people have with tattoos, most are always looking for cool images to have as tattoos and, in this case, the Buddha can be one of these images. Other meanings associated with these types of tattoos include luck, purity, honesty, wealth and blessings. These tattoos can also be used to avoid harm and to ward off any evil spirits. With these tattoos you are free to draw them as big as you would wish and so they are perfect when drawn as back tattoos due to the availability of space. A laughing Buddha or a meditating Buddha will look fabulous on your back. This is a perfect to have your Buddha especially for men as it will be more visible. The upper arm is also not as painful as other parts of the body which make it easier to tattoo. 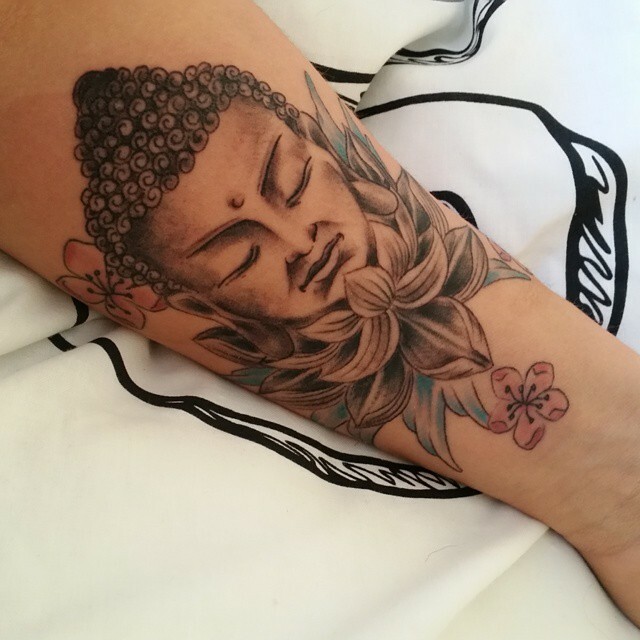 If you have no problem with having your entire body tattooed or if you are looking for a perfect full body tattoo then the Buddha is a very good idea. 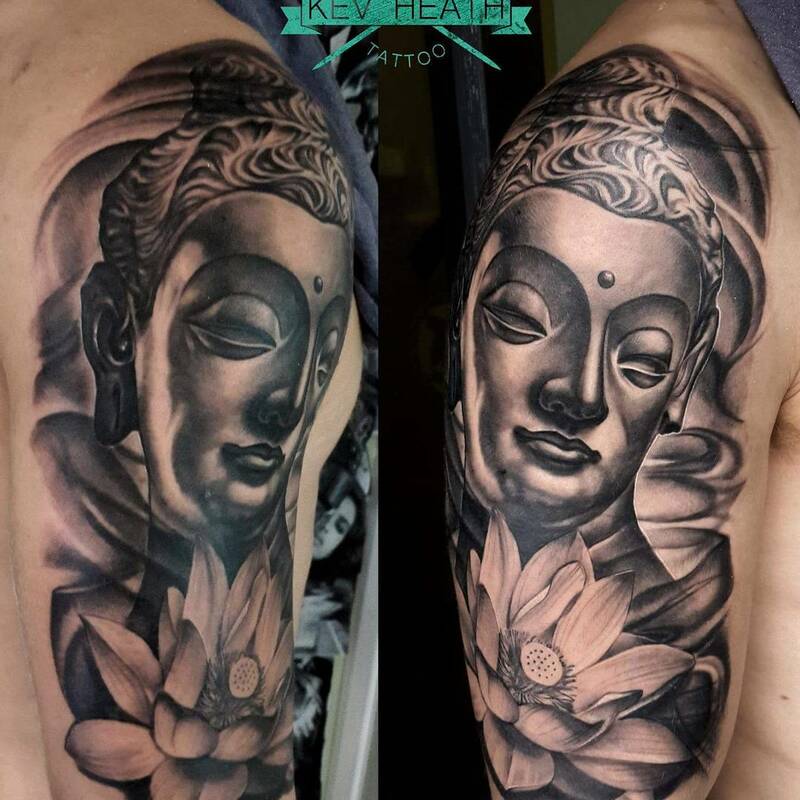 With the Buddha, you can have on large image supplemented by other tattoos or have numerous smaller Buddha tattoos inked on your entire body. 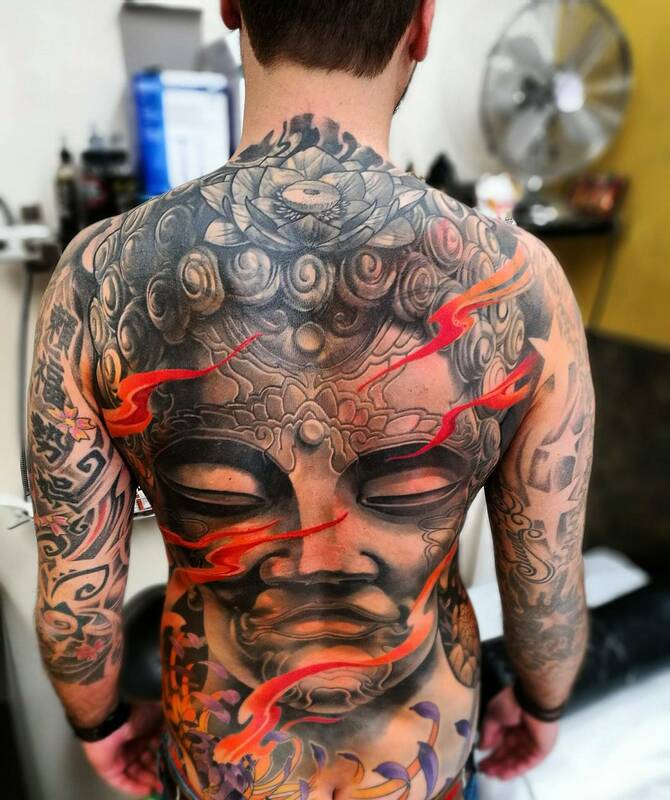 The stomach is one the most rarely tattooed areas but if you are thinking of getting your tattoos then the Laughing Buddha is a good idea. 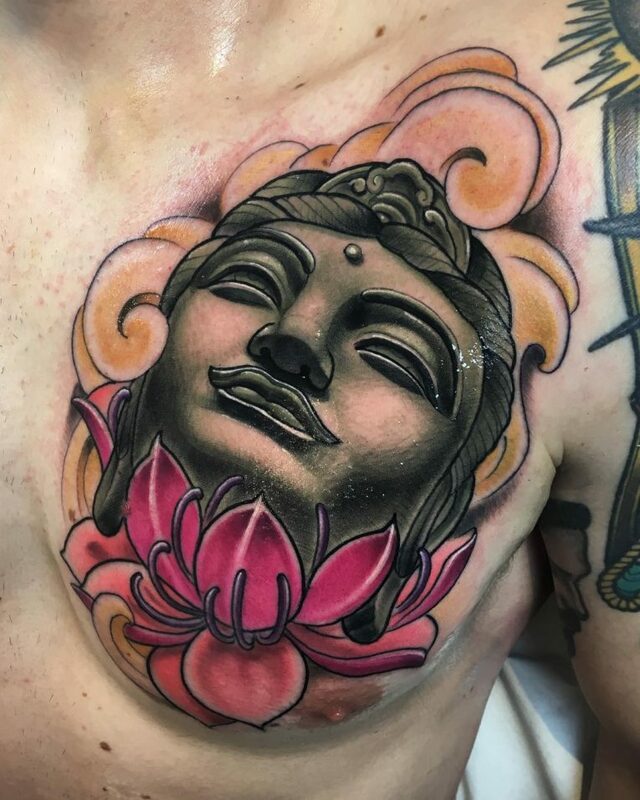 To make it look even more incredible have the stomach of the Buddha aligned to your belly button. A Buddha tattoos at the back of your hand will not only look great, but it will also be visible to show and to everyone else. When you think of Buddha, the jovial laughing image of Buddha is what comes to most people’s minds. The Laughing Buddha is a very recognizable and light-hearted tattoo to have one your back or stomach. The Skinny Buddha is a more serious image and would work well for anybody who wants to get a tattoo for religious purposes. You can draw a whole body skinny Buddha seated in a meditation position or have only the face. 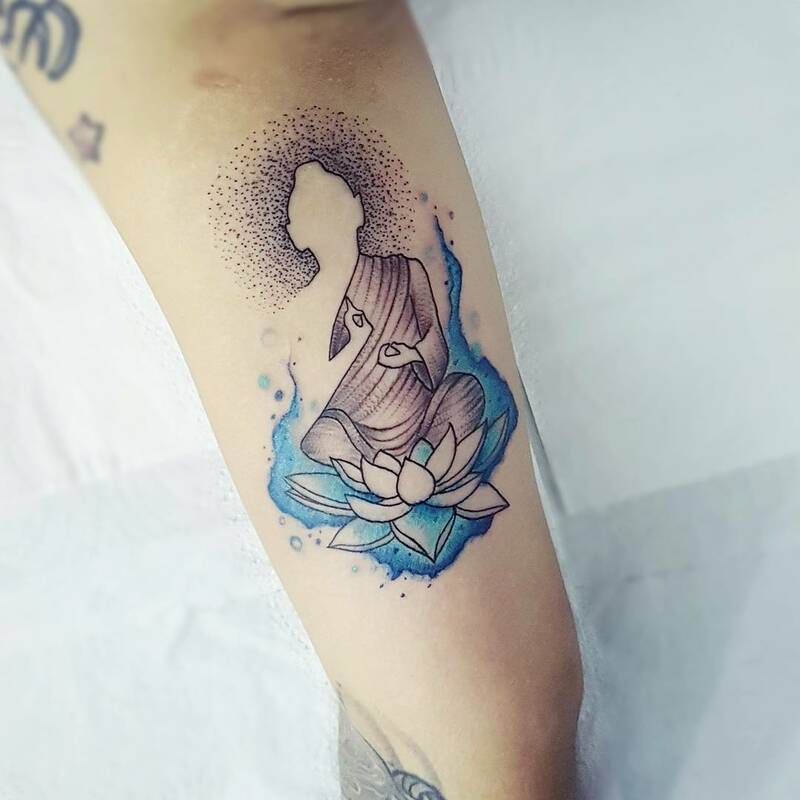 If you want to have your Buddha image somewhere for everyone to see or where you can be able to see him all the time then this is the tattoo that you should get. 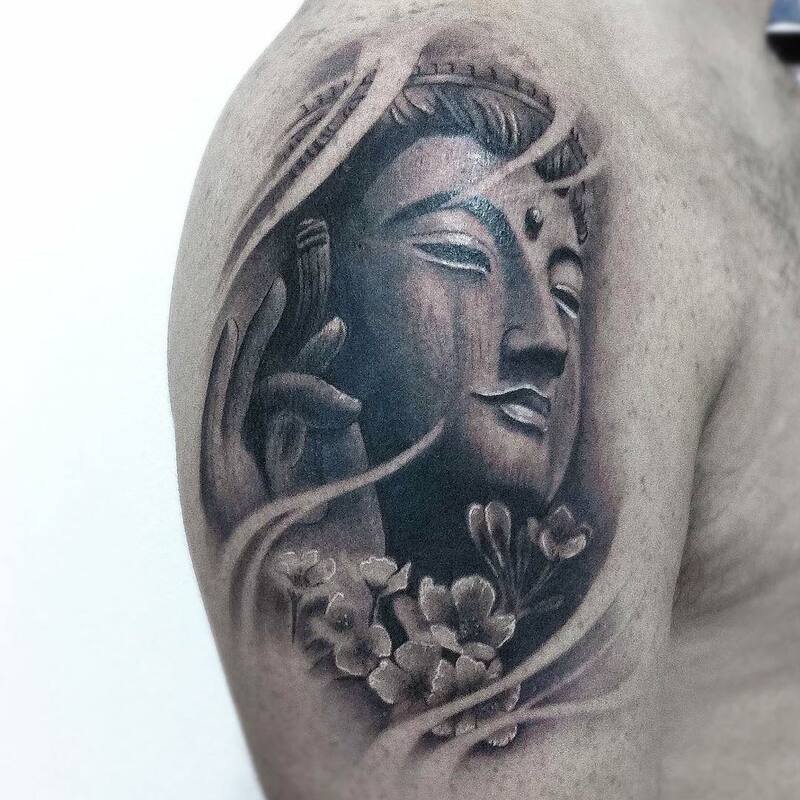 This tattoo is mostly drawn in the arm, and it usually depicts the hand of Buddha that he uses to bless people. 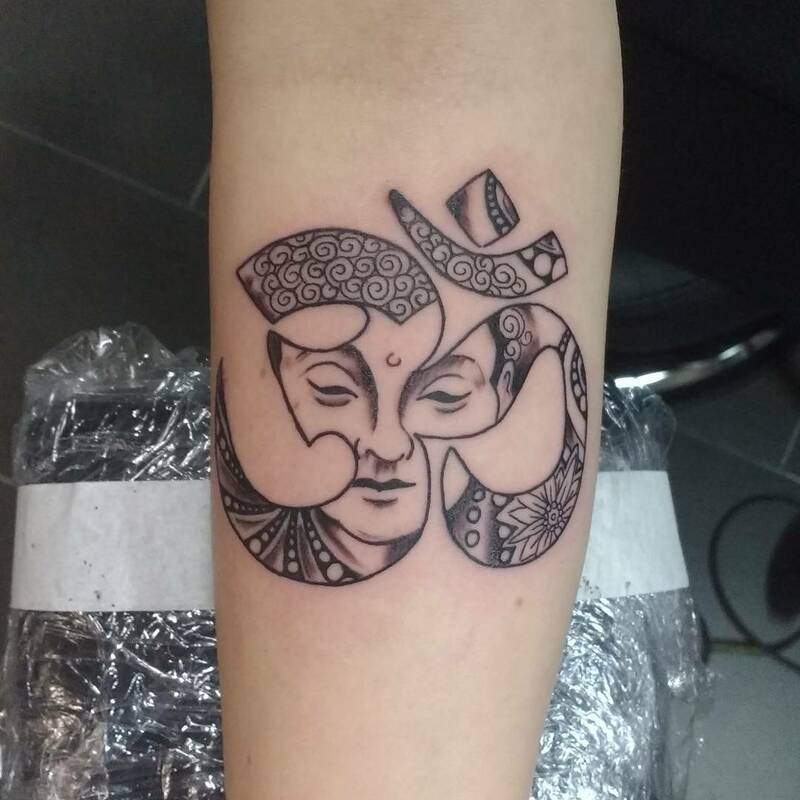 This tattoo is mostly found in Hindu-Buddhism, and it usually depicts Buddha with the face of an elephant or a face with an elephant trunk. This tattoo is usually used for religious symbolism and so you should understand the meaning before you have it inked on you. 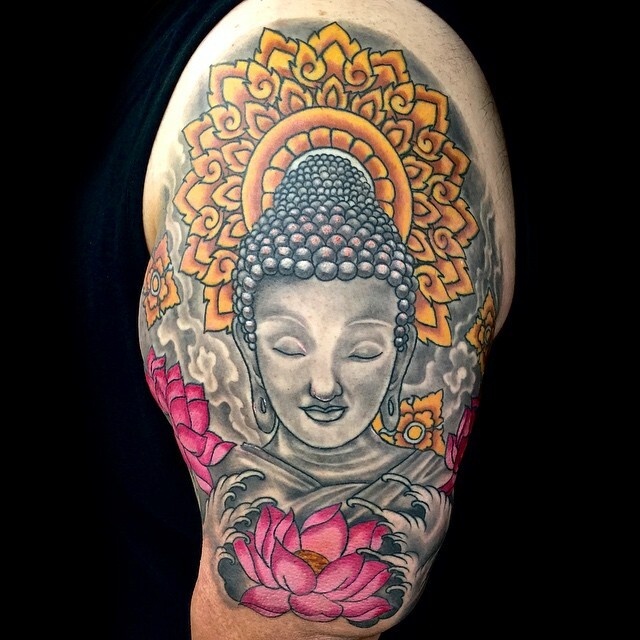 This is perhaps the most popular of these tattoos, and it depicts the head of Buddha adorned with a crown or head gear. 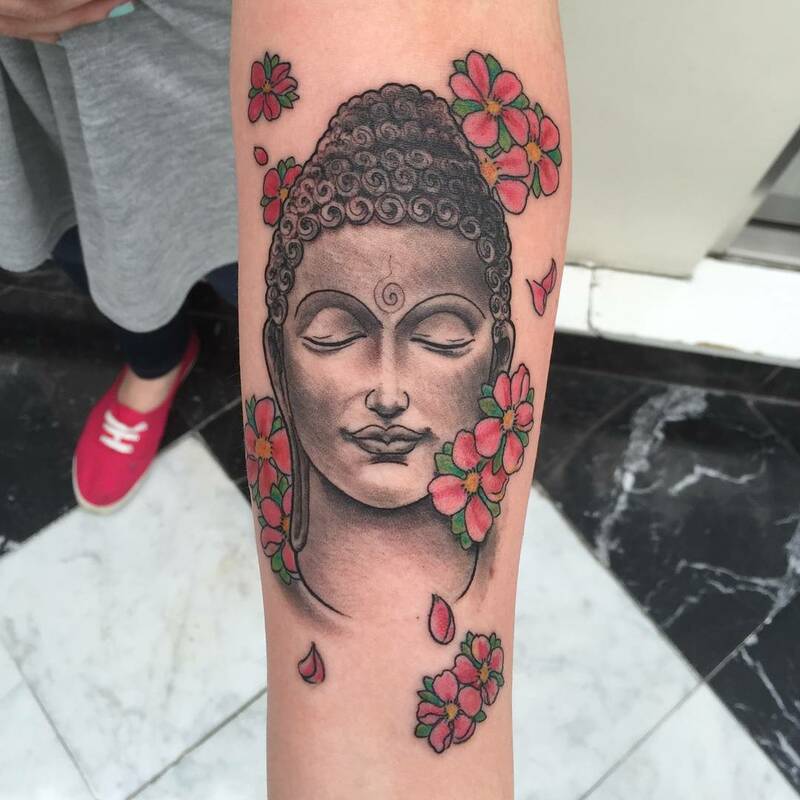 It is perfect for people who do not wish to have a whole-bodied Buddha inked on them. The Japanese Buddha looks slightly different from other Buddha images, but it still holds the same symbolic meaning. 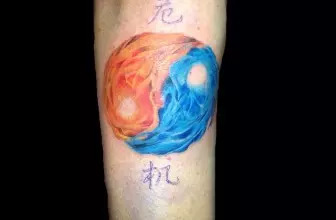 What makes it special is the fact that it is not widely tattooed, and so it can be quite a unique tattoo option.